Wednesdays are Ivan’s day that he doesn’t have classes, so we try to get out of the house and do something fun. Wednesday is also “pastry day” – our self declared day of the week when we go for a walk to the metro stop to get pastries for breakfast. It’s a nice little walk and we usually let Avery walk the whole way instead of strapping her down in the stroller. 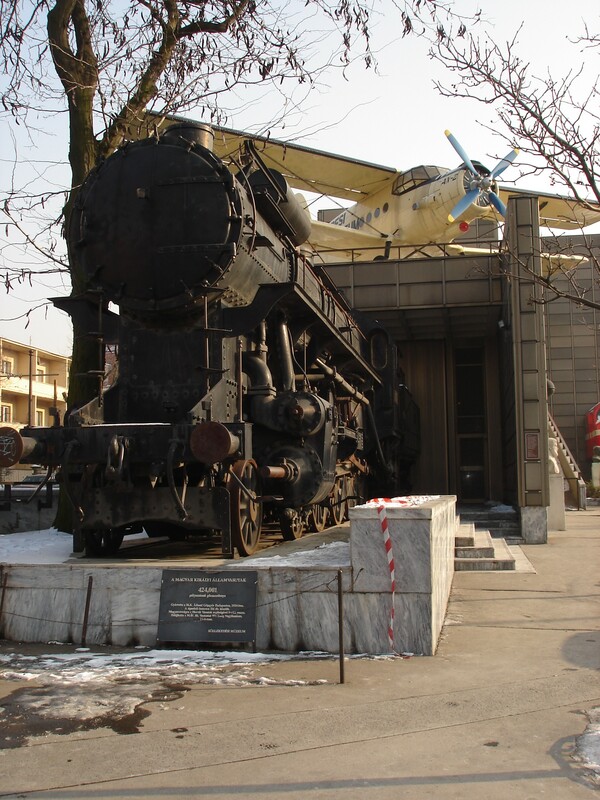 So this Wednesday we bundled up against the sub-freezing weather, stopped at the pastry shop at the metro station and headed to the Transporation Museum (Közlekedési Múzeum) for our weekly outing. You have to pay extra to take pictures in most of the museums here and I don’t typically bother because most things in museums don’t lend themselves to unprofessional photography very well, but I think this museum might actually have turned out some good pictures. 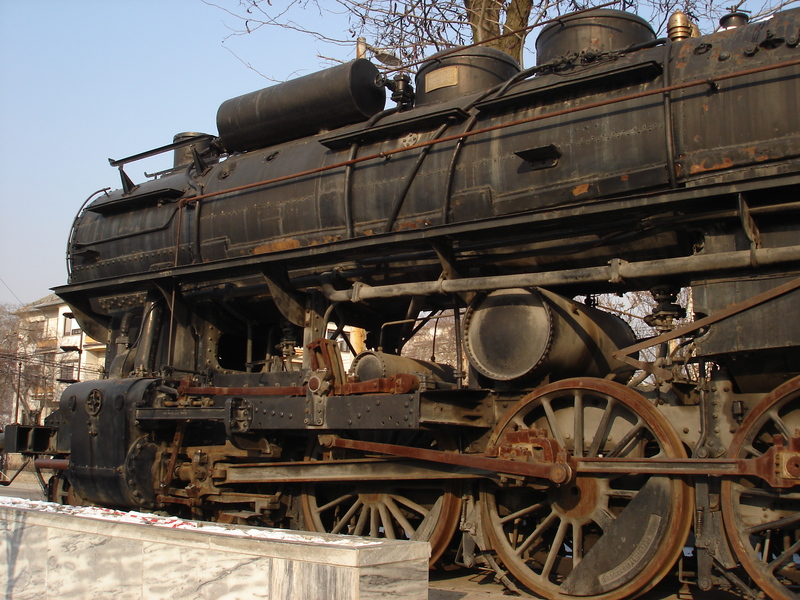 It had A LOT of models, replicas, and exhibits that varied in size from the size of your hand to the actual train in the picture that looks like it’s chugging out of the front of the museum itself. There were trains, cars, boats, airplanes, motorcycles, coaches, bicycles, ships, and even a model of the Russian Soyuz space capsule, complete with a landing parachute that stretched all the way up to the ceiling and back down again. It was pretty impressive. They had a lot of cool things outside, too that I was able to take pictures of without having to pay extra. One of my favorite parts of the whole museum was the display of parts of the different bridges over the Danube in Budapest. Most of this display was outside and there were links and sections of the chain bridge especially, but the other bridges too. 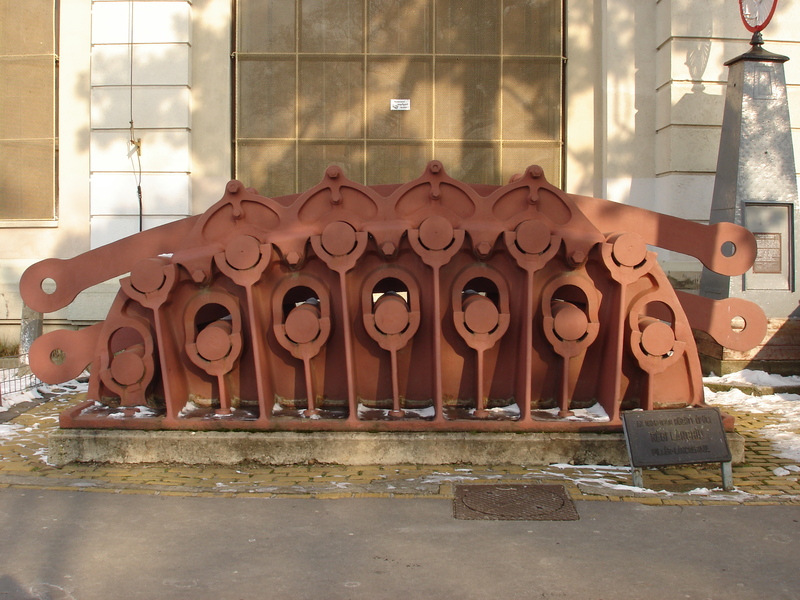 This is a picture of a section of the chain bridge. I don’t know a whole lot about it and the links they have on display don’t look much like the typical links I think of when I think of a chain, but they’re pretty cool to see anyway. I think the bridges are one of my favorite parts of Budapest. This came as kind of a surprise to me. I’ve never lived in a place with a lot of bridges and it’s kind of fun. Some basic facts for anyone interested: It cost us 1500 ft for both of us to go (Avery was free), not the 200 ft that Wikipedia said it was (we were a little surprised). Apparently Ivan was 1000 ft and I was only 500 ft because of Avery. That’s about $5.00 for Ivan and $2.50 for me. It closes early in the Winter (4:00 PM) again, not the 5:00 PM that Wikipedia claims (that was last week’s surprise).